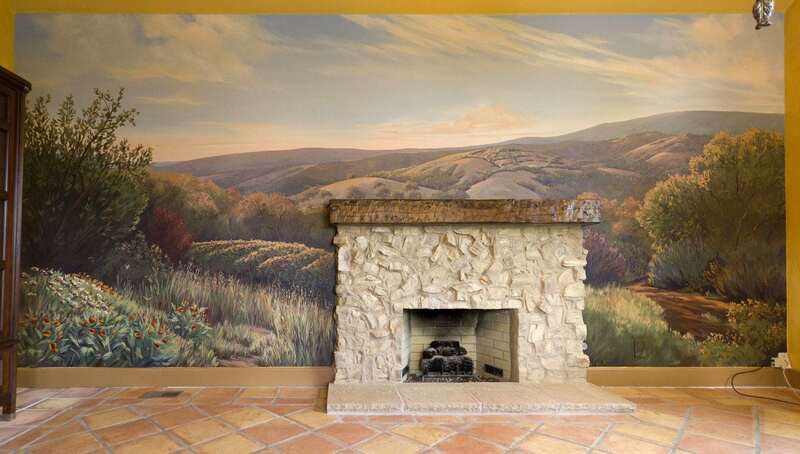 This mural was painted for The Del Monte Group in Alamo, CA, and inspired by the local landscape near his East Bay office and the family heritage in Italy. 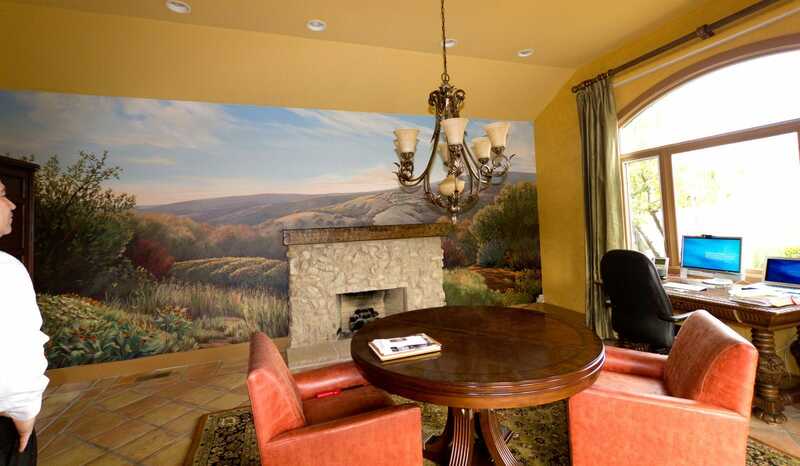 The Del Monte Group is a unique financial planning company. They have an integrated approach to wealth management, where family wealth serves a supporting role to a larger, positive legacy that reflects that family’s unique core values. 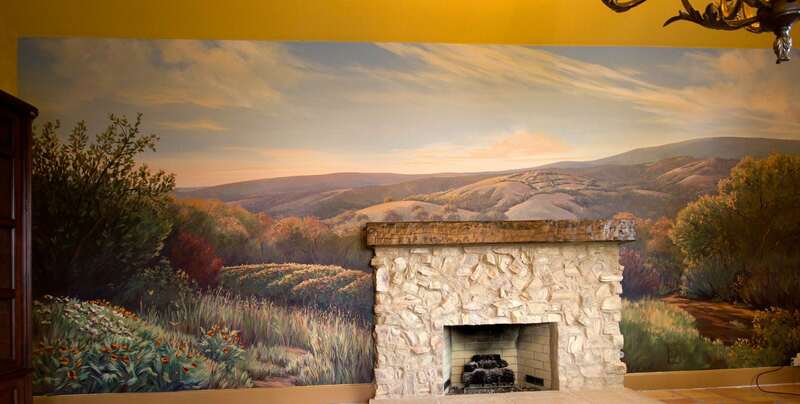 Their tag line is “A place of possibility.” They hired Murals by Morgan to create a visual reminder for all the clients who come through the door that it is a unique, inspired business; a place of possibility. For more information about this mural project, read my blog post A Place of Possibility.